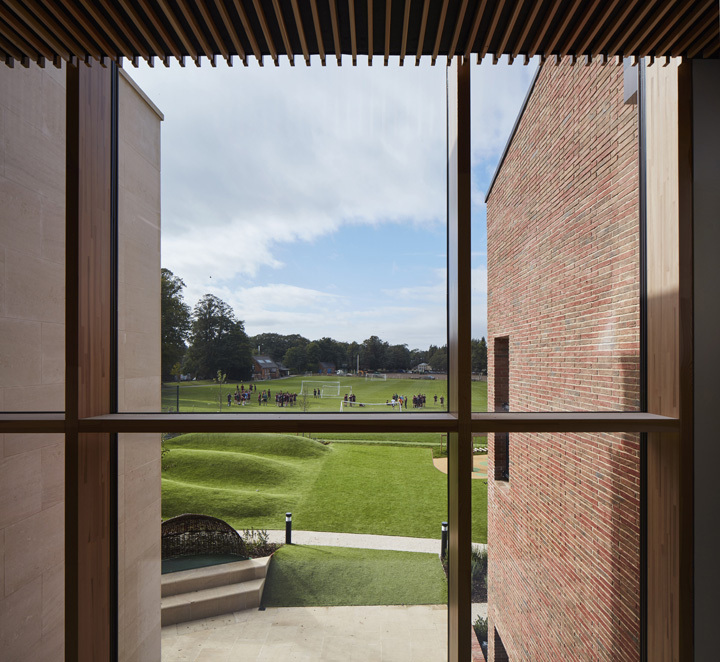 The school has 20 general teaching classrooms, two science laboratories, with further specialist rooms and areas for Art, Design and Technology, ICT, Drama and Music. 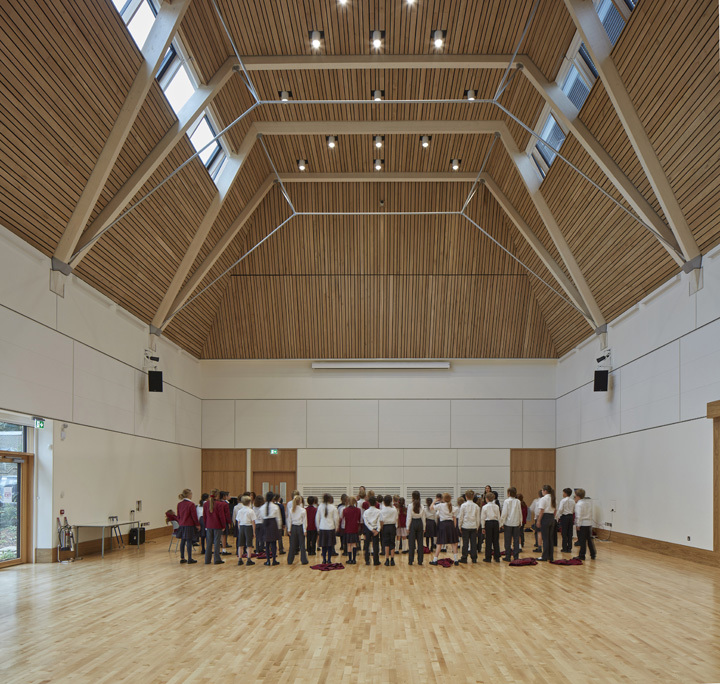 There is a 360 retractable seat hall for assemblies, concerts and dramatic productions as well as a library and central exhibition space. Outside, the play spaces are designed for creative and imaginative games, with a small amphitheatre and literary garden. Front elevation with school entrance and school signage. Highgate School, London, United Kingdom. Architect: Architype Limited, 2016. View from upper floor atrium towards sports field. 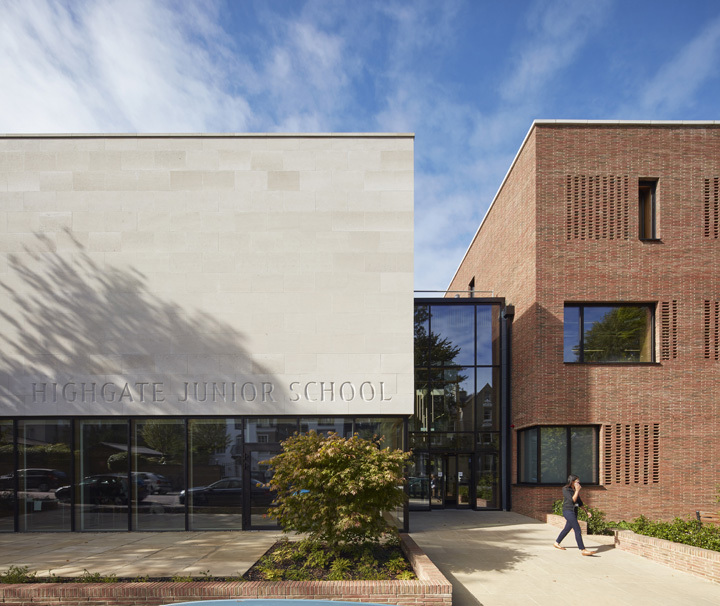 Highgate School, London, United Kingdom. Architect: Architype Limited, 2016. 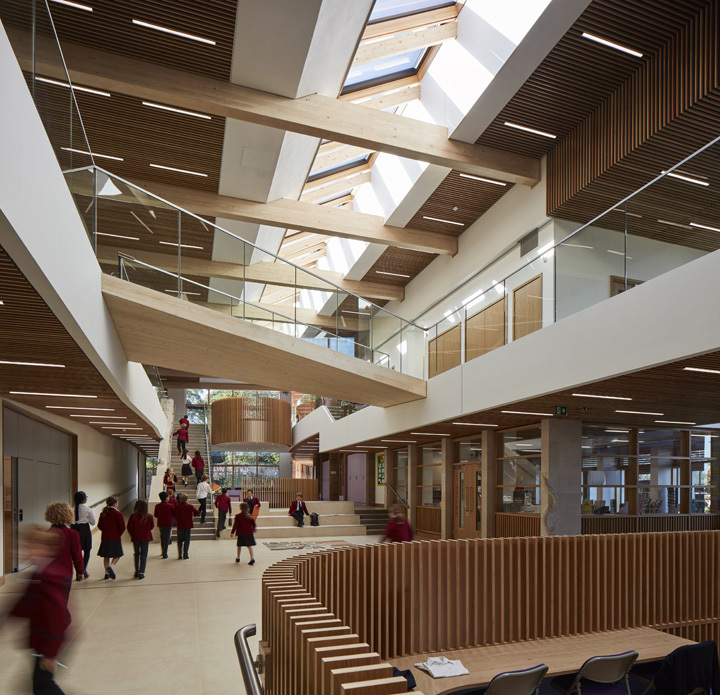 Sunlit atrium with students passing. Highgate School, London, United Kingdom. Architect: Architype Limited, 2016. Detail of handmade brickwork. Highgate School, London, United Kingdom. Architect: Architype Limited, 2016. Multi-purpose hall in use. Highgate School, London, United Kingdom. Architect: Architype Limited, 2016. 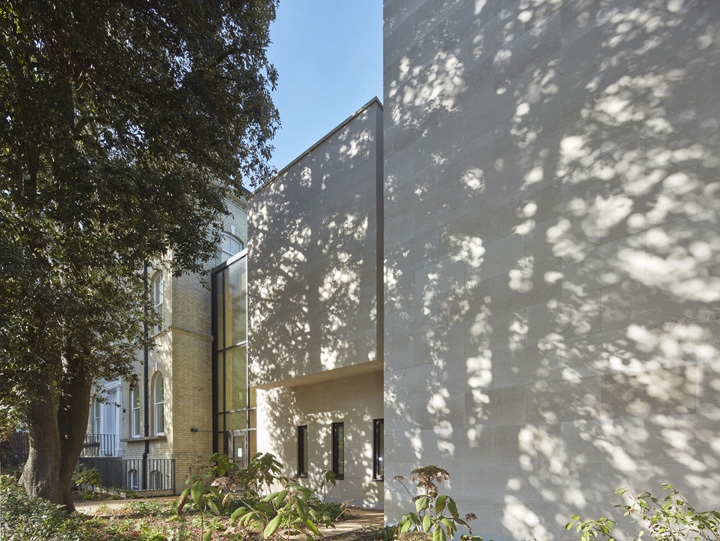 Light and shadow on Portland Stone entrance facade. Highgate School, London, United Kingdom. Architect: Architype Limited, 2016.